Adventures in the Anthropocene: A Journey to the Heart of the Planet We Made is, indeed, a journey. (1) Its author, Gaia Vince, traveled the globe for two years to witness first-hand the impact of human civilization on the planet. It is an even-handed account, in which grim realities are described but are balanced with optimistic predictions of the innovations that will ultimately enable us to cope with them. Ms. Vincent takes us to remote corners of the Earth where undeveloped communities are further impoverished by climate change and related changes in the environment. Rising temperatures and reduced rainfall have forced many agricultural communities off their ancestral lands and into a more marginal existence. In Bolivia, for example, former farmers have been displaced into brutal mines where life span is typically shortened by health and safety hazards. Some Pacific and Indian Ocean islands have been drowned by rising sea levels, forcing mass evacuations onto those that remain. Their protective reefs are dissolving in the increasingly acidic ocean. Meanwhile, enterprising people are responding to threats their communities are facing. In the Indian Himalayas, for example, artificial glaciers are being created to replace those that are melting. Glaciers were the irrigation system that enabled agriculture in marginal conditions. Torrential downpours caused by climate change are frozen on dammed, flat plains to create artificial glaciers that perform the same function. In a remote village in Nepal, a villager returns from his Western education to bring his impoverished community into the 21st century by creating a wi-fi network that provides internet access. The internet brings education to a village that could not afford teachers. It is powered by a small hydroelectric generator in a glacial stream. The stream is expected to disappear when the glacier melts in a decade or two, a problem yet to be solved. These stories and a multitude of others are both sobering and inspiring, but we will focus on the issues relevant to Million Trees. The coast of Peru is one of the driest places on the earth. There are places in Peru where no rain has been recorded. The city of Lima is near the coast and its climate is similar to San Francisco. There is little rain, but there is a great deal of fog. Lima, like many cities in undeveloped countries, is surrounded by shanty towns in which poor people build make-shift shacks and live without modern services such as water, power, and sewage systems. Sutro forest on a typical summer day. 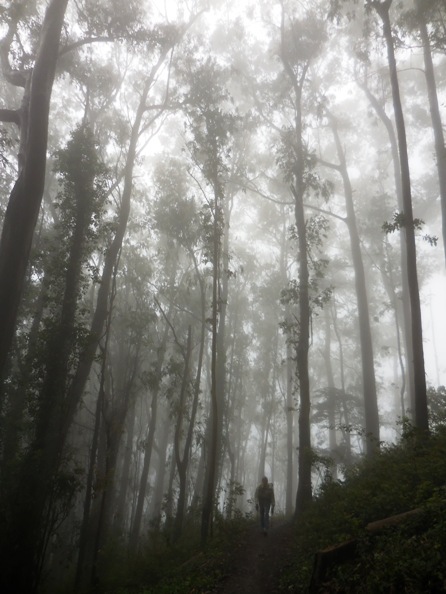 Courtesy Save Sutro Forest. 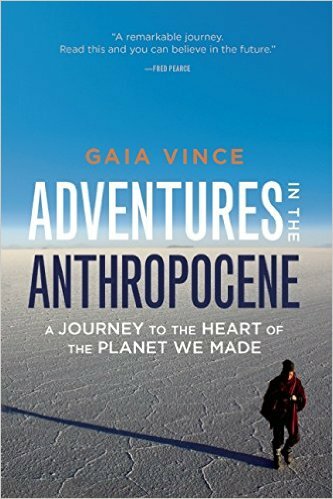 Each chapter of Adventures in the Anthropocene is devoted to a different ecosystem. Each ecosystem is introduced with a description of the importance of that ecosystem and the way in which is it being compromised by the activities of humans in the Anthropocene. Here are a few excerpts from the chapter about forests, which will be familiar to the readers of Million Trees. One point bears repeating because it is relevant to our local version of deforestation. In some cases, native plant advocates have succeeded in their demand to destroy 100% of our urban forest because it is predominantly non-native. In other cases, they have only been able to convince land managers to “thin” the forests, although “thinning” does not seem an accurate description of destruction of 90% of the trees. In any case, we should all understand that the ultimate likely outcome of the “thinning” strategy is an eventual clear-cut because “when trees are chopped down, sunlight enters in the gap and dries the soils….trees start to die and entire ecosystem can tip” from forest to grassland. The drying of the soil is only one factor in this prediction. The remaining trees also will be vulnerable to wind throw. And the herbicides used to prevent the destroyed trees from resprouting are mobile in the soil and are likely to damage the trees that remain. Plans to “thin” the forest are either based on ignorance or are a strategy designed to achieve the same goals as a clear-cut with less public opposition. Are invasive species a problem? We were gratified that there was barely a mention of “invasive” species in the detailed accounts of the impact of human civilization on the planet. The conventional wisdom that “invasive” species are one of the primary causes of species extinction is waning and this book reflects that fact. 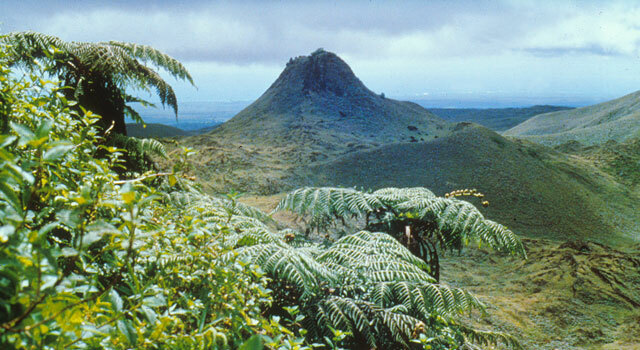 The pros and cons of introduced plant species are debated in the context of the Galapagos Islands, where biodiversity is worshipped because it was instrumental in Darwin’s theory of evolution. Ms. Vince interviewed the conservationist who has been battling invasive plant species on the Galapagos for 20 years. He recently decided that attempts to eradicate introduced plants are futile and he now calls them native plants. His surrender to this reality is controversial, but he is resolute. He is supported in this decision by scientists who have studied novel ecosystems and find ecological value in them. The rebuttal to such defense of novel ecosystems is that the globalization of ecosystems is homogenizing the world’s biota. We can only hope that our local version of “conservation” in the San Francisco Bay Area will catch up with this new realistic perspective in time to save our urban forests from being needlessly destroyed. The final chapter of Adventures in the Anthropocene is an epilogue, which takes place in 2100 in London. The author’s son muses at the age of 87 about which of his mother’s many predictions occurred in the 21st Century. As we would expect, it was a tumultuous century, one in which drastic changes were made to accommodate the changing climate. We notice that 22nd Century vegetation of London is tropical: “Now, carpets of sedges and mosses fill the spaces, interspersed by grasses grazed by capybara, and the planted fig and mango trees, noisy with wild birds.” We marvel that people claiming to be environmentalists are blissfully unaware of the fact that the native plants they are demanding we restore are not adapted to current climate conditions, let alone the climate foreseen in the near future. We look forward to a time of greater equality for humanity as well as for the natural world, when the meaningless and unnecessary distinction between native and non-native will be retired from our vocabulary. The “McDonaldization” of nature……….that’s a good term, which in fact describes your pro-invasive non-native vegetation standpoint of homogenization. Thank you. Gaia Vince is a journalist/evangelist, not a scientist. “New species quickly change in response to the unique conditions of their new home” Is nonsense. Evolution doesn’t work that fast. Just look at humans! If you were right, you wouldn’t need to use such dishonest tactics. Gaia Vince interviewed scientists and quotes them in her book. We are citing scientific studies published in peer review journals. We fail to see how that makes us “dishonest.” You, on the other hand, are expressing your opinion. Thank you for yet another brilliant post. I wish those idiots cutting down hundreds of thousands of our precious trees and poisoning whatever they can (most people in the Bay Area have no idea how bad it already is) would read you and actually think.